Manitoba is rich in community-based financial support services. Co-operatives are organizations and businesses known for a values-driven approach to business and community. Credit unions are like financial co-operatives and play an important role in the lives of all Manitobans. Manitoba is rich in community-based financial support services, providing the practical experience and guidance you might need to get your finances back on track. Many of these local, non-profit organizations share common values and offer low or no-cost tools and resources to people in Winnipeg, Brandon, and other cities and towns across the province. As you continue your journey of growing your financial knowledge, look for trusted, unbiased in-person resources to help you. Along with your own reading and planning, the combination of the human touch with the facts and figures can make for a powerful combination that motivates you to stay on your path. And when you see a benefit for yourself, your family and your whole community, your motivation to grow your financial knowledge may stay strong. 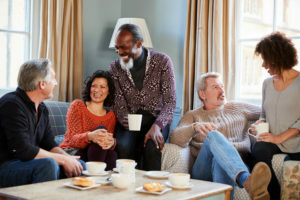 Whether you’re at the beginning of your financial journey or well along your way, take time to learn about community support groups in your area. SEED Winnipeg (Supporting Employment & Economic Development) is an important community-based resource for financial and business tools and information. SEED can provide the hands-on support, know-how, and guidance you might need to stay on financial track. Immigrant and Refugee Community Organization of Manitoba provides programming and accommodations for newcomer families. IRCOM maintains a broad scope of programs and offers specific programming connected to financial empowerment and independence. These are just a few of the organizations currently out there, but there are always new opportunities to expand your financial knowledge. Visit MoneySmart Manitoba regularly for updates on community-based financial education and support options.